Skype Phone, If Meet, Never Miss It! You are a lucky guy if you have your family member with you. You are outstanding if you have a busy schedule. You are so lonely if you are a foreign worker who hasn’t owned these two kinds of fortunes now. Whatever, with Skype phone emerging here, they will be much closer while some other surprises accompanied by. Actually, Skype phone is an advanced communication tools which can meet more requirements than that of normal ones. Compared to telephone, it is much cheaper and easy to use. It was mainly for the convenience of keeping in contact with distant family and friends by both vision and audition. Compared to headset, it concludes more humanity functions, such as dictionary, auto-select RF channel to improve the quality of voice and speaker function on the base station. Even the conference call is still available to it without any complex settings. That is to say, it performs well in anywhere and anytime with the additional skypemate software. As the word in the interface said that no matter where you go, skypemate goes with you. It can be downloaded free in the official website of USB Phone World. Furthermore, as the software has several types to be compatible with all systems, any laptop computer models are available to it, no matter it is a Apple laptop with Mac OS X or Windows 7. 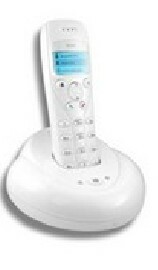 Nowadays, there’s also a new released product, called 160 feet USB cordless phone for Skype. You don’t have to keep around the laptop computer for a free space of 50 meters. And you can receive any calls and notes on the phone while control the Skype and skypemate software on the phone. As it is still in the promotion period, you can buy a Skype phone with the price of only one third of a Wi-fi phone. I believe you will be stuck on it from the day you own one. Can We Be Free From Telephone Bill Really? Is Your Dell AC Adapter Really Adapt To You?